Find below the most up-to-date list of the World’s Top Best 98 Digital Marketing Conferences 2019-2019. These conferences will help you improve not only your digital marketing knowledge but also become better at your marketing executions by giving you the opportunity to learn firsthand the tips and tricks of the trade from the smartest minds in digital marketing. Below we uncover the gems and roundup what we think are the best digital marketing conferences you should assist and do not miss out. Tip 💡Secure your conference accommodation today! Airbnb offers a great range of accommodation options . Book today! CXL Live conference help digital marketers achieve their final goals: drive more conversions, grow their businesses faster and make more money. How? Attendees have the opportunity not only to watch “top practitioners” share their tricks about conversion marketing, they can also chat to the pros in person. The event lasts three days — plenty of time to get as much advice as you need from your favourite conversion marketing experts and start getting leads like a true conversion pro. This is one of the world’s largest Pay Per Click Conference event. If you are a digital marketing running basic or advanced PPC campaigns, this conference is for you. Make connections with the best minds in the PPC business and learn how to optimise your PPC campaigns; for example, which strategies and trends can help you drive more conversions. Besides, when else could you chat about your favourite Adwords subject with PPC industry experts? Marketing United is a digital marketing conference hosted by email marketing experts Emma. This will be Emma’s third event and, like its previous events, it promises to be full of “ah-hah” moments spanning all areas of digital marketing such as marketing psychology, customer experience and brand building. Attendees can expect to enjoy the inspiring presentations from a killer keynote lineup including speakers from Netflix and Pixar. Marketo’s four-day conference will bring you with the knowledge you need to improve the way you interact with customers and help you get better results from your digital marketing efforts. You can also improve your knowledge of Marketo and get Marketo certified by attending University Day, where you’ll learn about the market-leading marketing automation tool through a series of workshops and presentations. Digital marketing CMO summit all across the globe. Attendees include Marketing heads, CMOs, CEOs, Publishing heads, Marketing Directors and other decision makers of top notch MNCs, SMEs and Advanced Stage Startups at this digital marketing conference. Google Marketing Live is happening on May 14th— learn about the latest digital marketing products from Google. For the first time, we’ll be live streaming 8+ hours of additional content from the event. Engage directly with product managers through live Q&A, learn new best practices, and get an inside look at how our latest products are developed. SHOPIFY Unite conference brings together our Shopify Partners and app developers who build on top of Shopify. It’s a chance to spend time with Shopify developer ecosystem and discuss how to simplify the technical aspects of building a business, so our merchants can spend more time making and selling. This conference will also present new features, tools, and technology to help make e-commerce better. The conference goal is find ways to save online merchants time, cut out unnecessarily complicated tasks, and give merchants superpowers to evolve your business alongside retail trends. Tune into their livestream May 8 from 10:00am to 12:00pm EST, where Shopify’s leadership team will share where the company is heading. Shopify CEO Tobi Lutke will share his vision for the exciting, collaborative future of commerce, and how Shopify will help you get there. You’ll get a first-hand walkthrough of brand new technology that we’ll be putting into your hands this year. C2 Montreal conference is a three-day international creative marketing and business conference, one of the most innovative of its kind, focuses on exploring the impact of current digital trends on business. It will get you thinking outside of the box to reignite your creativity and change the way you do business for the better. Expect to discover how marketers will adapt as digital evolves and be challenged and connect with your peers in innovative ways. Expect to come away with a new way of thinking and plenty of inspiration. 300 CMOs and B2B Marketers will gather in Sydney at the 3rd annual B2B Marketing Leaders Forum APAC to learn the latest strategies, technologies and leadership techniques for turning their marketing departments into revenue generating machines, secure larger budgets and a stronger voice in the C-suite. What’s new this year? A stronger focus on regional marketing in Asia Pacific with three CMOs from HSBC, IBM and Cisco flying in from Hong Kong and Singapore. Also new this year are the Leadership and Change Management streams where CMOs and emerging marketing leaders may select the stream most valuable to their role and career outlook. Is Australia really lagging behind the US in B2B Marketing? With four speakers from the US including Carla Johnson, Chair of ANA’s Business Marketing Association in the US, you will be able to get their international perspectives. Digiday Video Summit, where top executives in video, TV and publishing will explore the new opportunities and challenges in the digital video industry. Senior decision-makers and business leaders from across multiple industries will join the Digital Innovation Insight Summit, to discuss the most pressing challenges – and opportunities – in the fast-moving mobile marketing sector. Amongst other things, the summit will be discussing: app development, UX, design: what works (and what doesn’t); the mobile advantage: right message, right time, who’s doing it well? ; and mobile trends and innovations: what’s hot, what’s next? From case studies that lift the lid on operations inside best-in-class organisations, to workshops and collaborative sessions that focus on real challenges and future technology innovations, to one-to-one meetings with industry peers offering practical advice tailored to your specific needs, the summit provides you with everything you need to implement your key projects more effectively. Let’s face it. Which marketer would not like to be at the Apple’s Worldwide Developers Conference. The conference kicks off with Tim Cook taking the stage in San Jose to inspire the world with new iDevices and space grey accessories. Surely there is always great insights and possibilities for marketers here. Cannes Lions is five days of talks, workshops, networking events, classes and awards shows for people in the branded communications, digital marketing, online advertising, digital design & media. This a Boston based video marketing conference. event, run by Wistia. Video marketing is one of the most effective marketing tools out there, and WistiaFest will teach you all you need to know about this medium including future trends and, most importantly, how to create effective video marketing campaigns. Mumbrella360 is Australia’s biggest media and marketing event, attended by nearly 2500 senior marketing and advertising executives. This year will see the ECD and CEO of AdWeek’s International Agency of the Year, Åkestam Holst, to discuss their ground breaking work with IKEA; Microsoft’s lead thinker on AI and voice speaking in Australia for the first time to discuss the future of search; Buzzfeed’s LA-based Edwin Wong opening up on today’s new path to adulthood; and countless other senior marketing leaders from Google, PwC, ANZ, Visa, Optus, QBE, TAL and more covering the need-to-know topics for the year ahead. The three-day event also features an intimate masterclass zone, exhibition floors, an afternoon dedicated to formal networking and so much more. Affiliate World Europe, a three-day conference in July in Barcelona, Spain. It is one of the largest affiliate marketing conferences. Meet other Affiliate partners and providers and get one of the best networking opportunities. Lots of learning and key takeaways to increase your affiliate profits. Performance marketing professionals from around the globe will attend. 30+ speakers who are inspiring, creative and innovative marketers in the affiliate marketing industry. Panels on affiliate topics that focus on building your affiliate campaigns and companies with some of the brightest names in the affiliate industry. One of the best Search Engine Optimisation (SEO) and Search Engine Marketing (SEM) conferences in the world. Learn what’s hot in the world of SEO, social media and community building, straight from World’s industry leaders. This is a three-day conference with actionable takeaways and networking opportunities. Online Retailer Conference & Expo is Australia’s leading ecommerce event highlighting disruptive, innovative retail models and cutting-edge tech. Sydney based. Unbounce is all about giving marketers actionable advice across the hottest topics in Digital Marketing Optimisation. CTAConf is like the Unbounce blog on steroids to give practical tips. Google Search Conference objective is to help Indian language publishers make the most of the opportunity and bridge the Indian language content gap that exists on the web today. Google will be hosting conferences across 11 cities in India to help local language publishers and webmasters better understand how they can make their content easily accessible to the growing number of Internet users across India. In addition to Hindi, this year we will cover four other Indian languages such as Tamil, Telugu, Marathi and Bengali. Topics including ‘How Search Works’, ‘Tips for better visibility of Indian language websites in Google Search’, ‘Best practices for mobile-friendly websites’, ‘Google’s Search quality guidelines’, how to create, manage, and optimiSe content experiences for the entire buyer journey from leading industry experts. A session from the Google AdSense team is included to elucidate their policies and share how to avoid mistakes while running AdSense on your sites. Invite-only event and filling out the form does not guarantee your spot at the conference. Please register your interest here! (The registration for the aforementioned cities closes 10 days before the listed date). Once selected, you will receive an invitation email from us confirming the venue details. Amazon has certainly added more pressure in the retail space. If you do not innovate, you die. Clashing e-commerce and in-store strategies and direct-to-consumer disruptors are all dismantling what used to be the norm. To win, traditional retailers need to rethink their relationship with customers – and get smarter about customer data to do so – while digitally native up-and-comers need to strike the right chords in order to scale. A smart Instagram strategy and a compelling brand story is not enough. 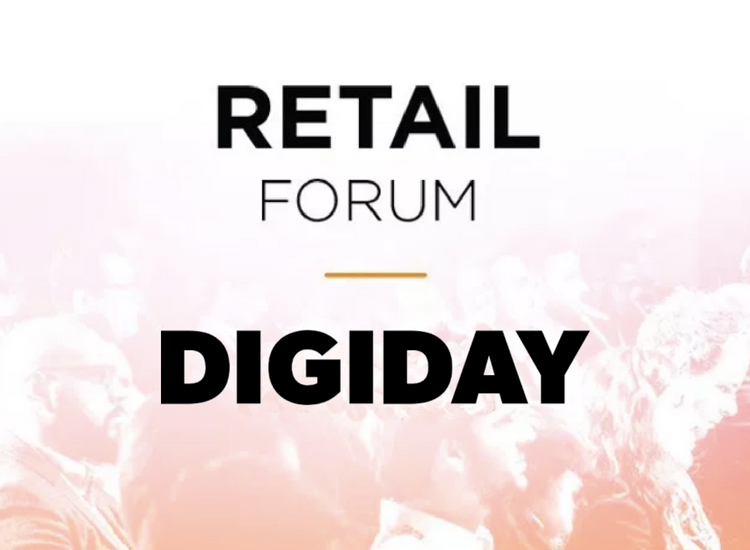 Join the Digiday Retail Forum, where expert discussions on how retail is evolving to meet these challenges, while getting into the nitty gritty of how to implement changes to improve your retail business. Adobe Symposium is full of new ideas, learning opportunities and plenty of fun. The good news is that they offer on demand videos to make sure you’re well-versed in Adobe’s UX solutions and ready to expand and build upon your current skill set – rocketing you to bona fide ‘experience marketer’ status.Their keynote speakers are challenging the status quo with their approach to marketing. Whether it’s drawing people in with great stories or making every experience shoppable, the speakers are sharing their success stories, ideas, tips and tricks. The best part? It’s all available on-demand and in the yearly conference. If you would like to be the first to hear when registration goes live you can register your interest. Dreamforce conference last year brought 200,000 attendees from over 83 countries. Run by Salesforce, Dreamforce will bring you the knowledge you need to significantly increase your ROI. Marketers will learn how to map out brand experiences to better connect with customers. They’ll also discover how to make the most of Salesforce in their marketing strategy. With over thousands, there’s something for everyone. Make sure you check out the agenda beforehand to select the content that’s relevant to you. This is a two-day conference focused on content marketing. Learn upcoming content marketing trends and plenty of ideas for rolling out an effective content strategy. Network with the other Content Marketing industry leaders and your fellow content peers. Taking place in German city of Cologne, Dmexco Conference is a two-day marketing conference. Meet some digital big dogs from some leading global companies (think Bloomberg and Google). Keynotes, seminars and work labs that cover diverse themes in digital are offered in English or German. 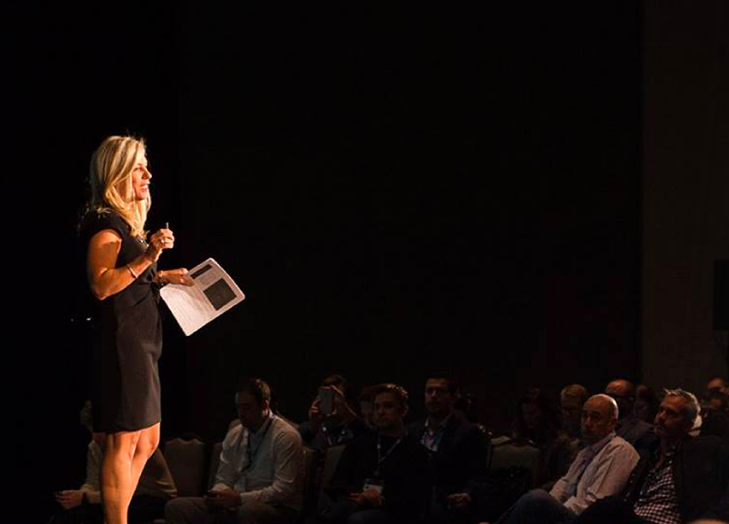 Inbound Conference is a four-day event with a great list of speakers. It’s also an opportunity for sales and marketing pros to rub shoulders with some of the biggest names in the industry and get tips and inspiration on taking a business to the next level. Four days jam-packed with talks, keynotes and workshops. Digital strategy and transformation is the top priority of business leaders around the globe. According to new research, digital transformation will an estimated $45 billion to Australia’s GDP by 2021. Companies have reported that increasing their use of digital technologies has produced significant improvements in profit and productivity. Digital Strategy Innovation Summit brings together some of the most innovative Australian brands, exciting start-ups and insightful digital leaders. Through a variety of case study presentations, how-to talks and in-depth panel discussions, this year’s event will be an educational playground to get inspired, network and discover what’s possible. Intrigue Summit aims to have over 200 speakers at the summit though. Every delegate is a speaker! You will be able to ask questions as well as answer the questions put forward by the audience. You will be encouraged to debate and let the audience know which marketing technique worked for you and what you exactly did to solve a marketing challenge. There are no panel discussions. Only Q&As and debates moderated by 1 or multiple subject matter experts who will also add their point of view. It’s a brand new concept loved by the delegates of past Intrigue Summits. Marketers will meet to learn about the latest developments in Digital Marketing including Content Marketing, SEO, SEM, Branding and Design, Marketing Automation, Marketing ROI, Mobile and Video Marketing and many more intriguing and relevant topics. With a combination of world class speakers, a superb theme (Digital Marketing Buyers and Suppliers Rendezvous), a powerful agenda, high caliber delegates (CMOs, Marketing Directors, Digital Heads and Other Senior Marketers) and very high quality networking, the Intrigue Summit is designed to Intrigue and bring a smile on every delegate’s face. Advertising Week is one of the premier events for marketing, brand, advertising, and technology professionals. Now in five different major cities across the globe – New York, London, Tokyo, Mexico City and Sydney – each edition of Advertising Week presents endless opportunities to learn, network and liaise with the industry’s best. The annual Fast Company Innovation Festival bring to life the most intriguing stories of innovation, creativity, and leadership. The event is big enough to attract the right people but small enough to let us get up close and personal. The access and information is outstanding, loaded with brilliant creative people who are making a difference in our world. Great selection of speakers and excellent moderators. Successful business strategies are all about connection – with your customers, your partners, your industry peers, and today’s trendsetters and leaders. 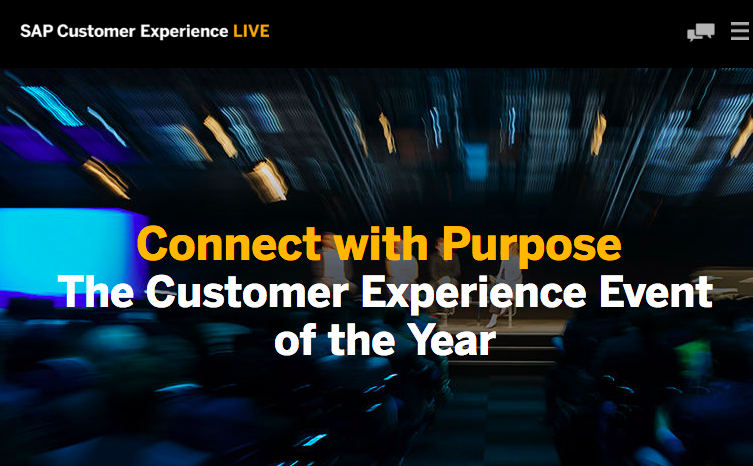 Connect at SAP Customer Experience LIVE and find out how you can transform customer engagement. You’ll learn about the innovations shaping customer engagement: differentiated service, optimal digital marketing, smarter sales, and game-changing technologies. Plus, you’ll get to network with 4,000+ sap users, partners, executives, developers, and thought leaders for two days of insights and connections that can help you bring your business strategies to life. WORLDZ, a global community and summit connecting today’s most influential CEOs, CMOs, Creatives and Cultural Icons. Join to meet and learn from WORLDZ Masters from top brands like Samsung, Google, LVMH, Dropbox, Mattel and WME across four actionable tracks: Culture, Technology, Social Impact, and Leadership. List a number of Digital Marketing Conferences. Hyper Island – Available in Bogota, New York City, São Paulo, Singapore, Stockholm. Standford Graduate School of Business. DIGITAL MARKETING TALKS by She Says New York City. Conferences and classes with partner education institutions such as General Assembly in Australia. Also offers in-house training and Strategy workshops for Marketing Managers, Social Media Managers. Search Marketing Expo, SEO and PPC conferences and workshops. Cities include: Munich, London, Seattle, Paris, Jerusalem. This November, the biggest event for Google Local Guides is coming to San Jose, California—Connect Live! Google will be hosting our most passionate creators for an all-expenses-paid trip to Google’s campus. You’ll get a chance to share tips with other inspiring Local Guides and meet the people behind Google Maps favourite features. Connect Live 2019 will be held from November 12-15. To be able to attend you need to be a Google Local Guide level 5 or above. Convergence is the only business (B2B) conference/ event that explores the relationship between work, people and combined emerging technologies like VR, AI, robotics, AR, IoT, M2M, gaming, 3D printing, wearables, drones and blockchain. Emerging Technology Business Summit, Expo and Networking. Convergence will give you access to some of the World’s best keynote speakers including: Samantha Payne from Open Bionics (UK) who’s company is a convergence of Robotics, 3D Printing, Healthcare and Games Design. Chris Bobotis, Global Director Immersive, Adobe Systems (Canada) who will be show casing their new VR / 360 tools. MarketingProf’s B2B Forum will offer new knowledge to build a sustainable marketing strategy. Network with B2B businesses from across the globe and learn from their successes. This event is pretty unique as it offers full-day workshops on one of four marketing topics. So if you want to learn a lot and fast, come along for a marketing crash course. Chicago’s biggest content marketing event is taking place downtown Chicago at The Gleacher Center. Experts in content strategy, analytics, promotion, conversion and measurement will share most actionable insights, tools and techniques. RD Summit in Brazil is the biggest marketing and sales event in Latin America. Get solid advice on your inbound marketing and sales strategy and network with a large community of marketers. Pubcon Las Vegas features industry experts within social media, digital marketing, search engines and online advertising. Named a Forbes must-attend conference and an Inc. top conference for growing your business — this conference will expand marketers horizons on all things digital. DMWF Conference & Expo North America 2017 will equip you with the skills and knowledge you need to understand and address your future challenges across digital marketing and social media. This unconventional conference is dedicated to delivering actionable methods and strategies covering all aspects of digital marketing including technical SEO, link building, analytics and content marketing, without all the fluff and sales pitches. CMSWire’s Digital Customer Experience Summit 2017 brings together the world’s foremost digital and marketing leaders — those who are defining the next generation of digital experiences and leading the teams that make them a reality. Programmatic has too often left publishers with the short end of the stick. Now, thanks in large part to advancements in header bidding and private marketplaces, publishers are reasserting themselves. The Digiday Programmatic Media Summit will discuss how publishers are wrestling control over their tech stacks. Internet Summit is a forum about digital commerce. Get practical solutions to apply to your e-commerce, analytics and user experience strategies and to learn about the latest trends in digital technology. You can network with some of the world’s leading brands including Facebook. Integrated Live. November 15- 16, 2017. London, UK. This one-day summit provides marketers and senior business decision makers with an overview and deeper understanding of the latest need-to-know digital trends. MarketingProfs’ B2B Marketing Forum is more than a conference. It’s the place where leaders, innovators, and people who make things happen gather to learn about the latest in B2B marketing and share the secrets to success. Start up & Growth Conference. The largest gathering of startups, entrepreneurs, investors, media, and corporate innovations teams. Get actionable insights from the world’s best to help you build a bigger, better, faster company through growth and marketing tactics. StartCon – Australia’s largest startup and growth conference is back & will be held at Randwick Racecourse, Sydney. This is your chance to network with the entire startup ecosystem and make more than just connections! From meeting the right people to getting inspired, StartCon has it all! There’s no denying that growth hacking is hot and here to stay. But despite the buzz, many businesses still don’t have the framework they need to build a successful growth marketing engine. Join a community of data-driven marketers and innovative entrepreneurs who will learn the fundamentals of rapid growth and digital marketing best practices in just two days. The Growth Marketing Conference — Silicon Valley Largest Growth Marketing Event. WHY ATTENDING THE GROWTH MARKETING CONFERENCE? RAND FISHKIN – THE POPULAR SEOMOZ BLOGGER – WILL TELL YOU! This conference is all about the “Customer Experience”. Advocamp will give you some great ideas on engaging your current following and fostering a loyal customer base. Your marketing efforts will become even more valuable if your leads become happy, long-term customers and advocates of your brand. Expect to see top speakers in the field of Customer Experience from leading global companies. Senior decision-makers and business leaders from across multiple industries will join the Data Innovation Insight Summit, to discuss the most pressing challenges – and opportunities – for data-driven marketers. Key themes under discussion include: recognizing your customer in a crowded marketplace. What do they want? ; targeting your customer and tailor their experience; and maximizing your data and find your customer. From case studies that lift the lid on operations inside best-in-class organisations, to workshops and collaborative sessions that focus on real challenges and future technology innovations, to one-to-one meetings with industry peers offering practical advice tailored to your specific needs, the summit provides you with everything you need to implement your key projects more effectively. Affiliate Summit conference was created for the purpose of providing educational sessions on the latest industry issues and fostering a productive networking environment for affiliate marketers. Attendees at Affiliate Summit events break out into six main categories: affiliate, affiliate management, advertiser, OPM/agency, solution provider, and network. Affiliates typically account for about a quarter of attendees at Affiliate Summit. Keeping your brand authentic, engaging, and accessible is harder than it seems. Every brand marketer knows that. Having spent the last decade fine-tuning their strategies to successfully market to the Millennials, marketers are now struggling to connect with Generation Z. Yet, this group is estimated to hold 40% of consumer power by 2020! If you don’t have a strategy to engage Gen Z on their terms now, you are already behind. Savage.Z, brought by marketing’s leading Savage Marketing event, is where you will gain practical tips on winning with the up-and-coming generation. San Diego, Check dates for Boston, London. SearchLove is the creation of online marketing agency Distilled. This conference is about search marketing; topics covered span from SEO to PPC and content creation. Over two days, learn actionable tactics to get your website ranking higher. Sessions run one after the other, so you won’t have to miss out on anything. Great conference for any marketer who wants to step up their data game. The organisers, Domo, are business intelligence wizards and creators of a data-driven business management platform. If you fancy going deep into business analytics and learning how to get data insights to inform your marketing activities and your business as a whole, check Domopalooza out. Whether you’re pursuing your first job, skilling up for a promotion or a career change, or layering in a new skill to ensure your continued success in your current role, you’ll find support for your learning efforts at Intersect – voices to inspire you, mentors to guide you, companies to connect with, and new opportunities to pursue. The event features inspiring keynotes, captivating panels, interactive workshops, and the opportunity to connect directly with hiring partners representatives. Past Intersect speakers include Dr. Ashwin Ram (Amazon), Yoky Matsuoka (Nest), and Astro Teller (X), and past hiring partner participants include: Google, IBM, BMW, NVIDIA. Intersect is a celebration of Lifelong Learning. Use promo code UDStudent18 to get $75 off the early bird ticket price. A brand new immersive exhibition hall featuring professional head shot station, relax and refuel zone (including foot massages!) and our very own Shakes and Blowdry day on the exhibition floor. New content and formats including debates, panels, leadership and presentation skill workshops, campfire sessions. Connect with your Publishing industry peers to advance the digital media industry. Delve into the latest topics focused on maximising revenue. Experience a unique publishing event with an agenda you help set. Take away actionable insights for you and your team. Acquisition and Conversion Strategies for B-to-C and B-to-B Marketers. Sign Up for LeadsCon’s Annual NY Conference & Expo. These conference andexpo is dedicated entirely to the most effective and emerging sectors of the lead generation industry: Calls, Clicks, Search and Shares. With dedicated b-to-c and b-to-b content designed around each section of the sales cycle.